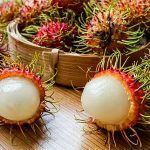 Home » Diet » Top 5 Health Benefits of Durian! Durian is an exotic fruit native to the Indonesian and Malaysian rainforests. The durian tree grows up to 50 metres high and typically starts bearing fruit four years after planting. Dubbed the world’s smelliest but most nutritious fruit, the pungent smell will probably make you either love it or hate it. Durian, also regarded as the king of fruits, is large with a hard spiky exterior and soft, yellow flesh which is described as having a creamy custard, almond-like taste. 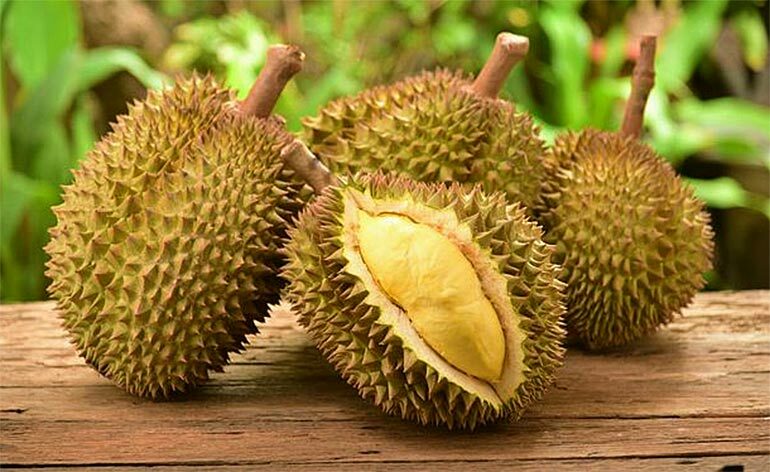 Read on below for our Top 5 Health Benefits of Durian! Durian is considered to be a great digestive aid. 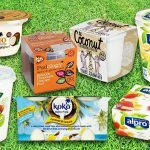 Like many ‘meaty’ fruits it contains high levels of dietary fibre. Fibre helps with bowel movements and the secretion of digestive and gastric juices which reduce constipation, bloating, heartburn and indigestion as well as serious illnesses like colorectal cancer. A lot of the fibre found in durian is insoluble fibre which makes it a good laxative. Durian is a good source of antioxidant vitamin C, providing many benefits including fighting off illnesses, healing wounds, lowering cholesterol and improving blood flow. It also has high levels of vitamin B6, rarely found in fruit, which helps fight free radicals linked to aging and heart disease and boosts serotonin levels aiding those who suffer from depression. In traditional herbal medicine, durian was a used to combat the effects of aging . This is one of the main reasons why it’s referred to as the “king of fruits”. It has many antioxidant properties from its vitamin and organic chemical makeup that surmount free radicals in the body. The fruit contains high levels of the essential amino acid tryptophan, often referred to as “nature’s sleeping pill”. Tryptophan an organic chemical, metabolises into serotonin and melatonin; these two neurochemicals play an important role in the onset of sleep and calming nervousness. A recent number of studies suggest that durian meat produces intensified sexual libido and stamina acting as an aphrodisiac. It also reduces the chances of infertility in men and women and increases sperm motility. Although durian has been banned from certain hotels and public transport in Southeast Asia because of its pungent odour it is very unique in taste. This fruit is packed with nutrients that will definitely have a positive effect on the taste buds. The king of fruits has good monounsaturated fats but please observe caution if you’re battling weight gain and obesity as it has about three times more fat than other fruits. It’s available for purchase from many Chinese supermarkets as well as Loon Fung stores in London. What’s your relationship with this special custard creamy wonder? Tell us below or @keepfitkingdom !